Especially in the twenty first century, there is an increasing need to inculcate the sports culture into kids. One can do that through competitions or annual sports days or the promise of certificates and awards. When you are designing free certificates for children, you have to keep in mind the fact that they aren’t attracted to the same things as adults. 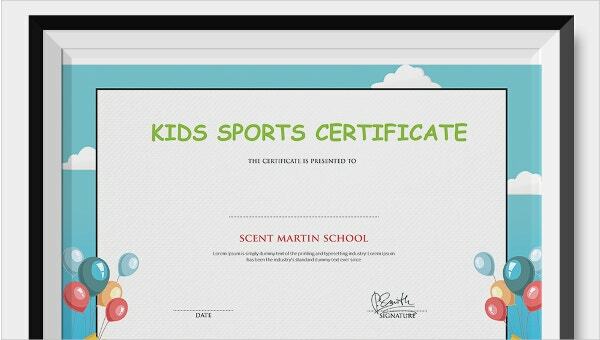 That is precisely why you should check out these special sports certificates for kids. You’re bound to appreciate them! The bright use of colours would certainly appeal to kids. The colourful stars sprinkled across the template make it appear vibrant and playful. Plus the template comes with blank spaces where you can insert details. 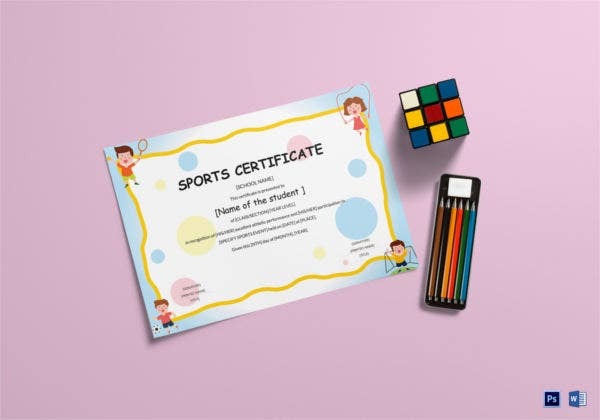 This sports certificate template for kids looks like a blackboard. It is fun, playful and funky in appearance and would surely appeal to kids. Plus, the template is 100% editable and customisable as well. 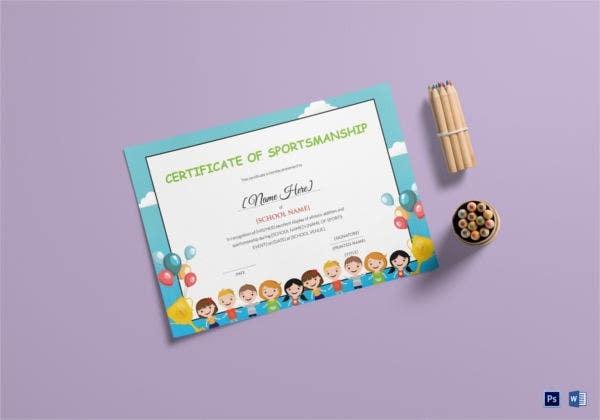 This sports certificate template for kids comes with Word and PSD compatibility. That makes the template exceptionally easy to use and edit. All you have to do is download it. 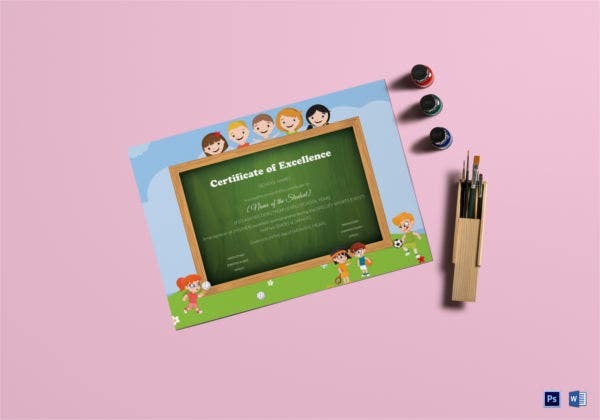 This certificate template comes in a standard size with allowance for bleed, a print ready format, Word and PSD formats, a CMYK colour mode, a fairly high resolution of 300 dpi and easy customisation of text and colour. 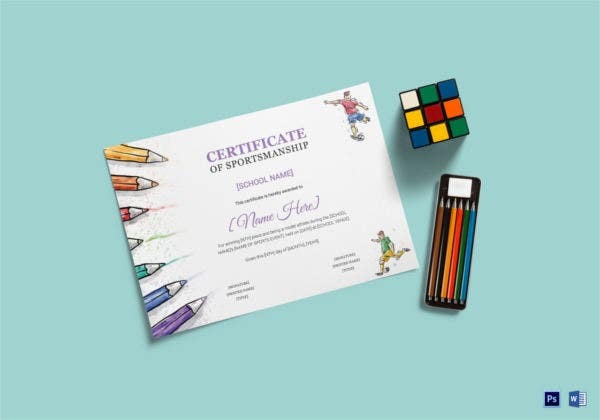 This sports certificate comes with a colourful and vibrant theme which looks very attractive. Also, the template comes with easy customisation of colour and text as well. That makes this template a popular choice! 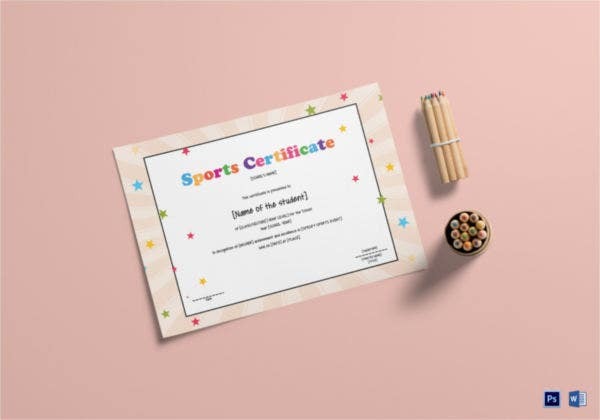 > What makes these Sports Certificates so Special? The specialty of these sports certificates lies in the audience they are targeted at. These certificates have been designed specially for kids. While planning events for kids, you must organise certificates and awards that will motivate them to take part in the events. Children can be pretty fickle that way! This is where sports certificate templates may come in handy. What you must remember is that the kind of certificates that would appeal to adults wouldn’t leave much of a lasting impression on the kids. Kids want something fun, playful and quirky. With this in mind, you can proceed with the designing of your certificates. > Why should you go for Sports Certificates for Kids? These templates are 100% editable. By sticking to the original theme, you can just make some basic changes to make it more appealing to kids. All the templates here bear a professional touch which is of the utmost importance. The templates here come with Word, PDF and PSD compatibility. That makes the templates really easy to use and edit. The certificate templates come in a print ready format. They are user and designer friendly and are practical as well. Are you having an annual sports day at your school? Or are you organising a special sports event for kids? Whatever the case may be, you are going to need some amazing certificates to capture the attention of the kids. For that, you can take the help of these sports certificates for kids.